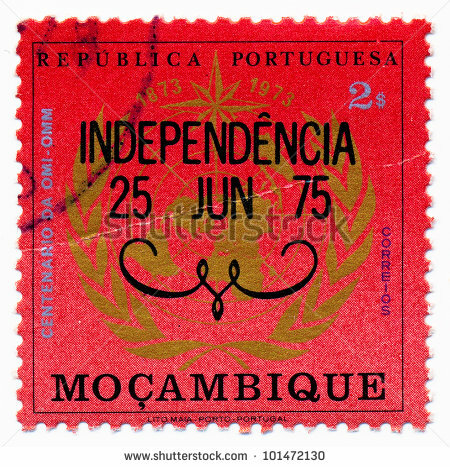 On this date in 1975 Mozambique gained independence from Portugal, becoming the People’s Republic of Mozambique shortly thereafter. After only two years of independence, the country descended into an intense and protracted civil war lasting from 1977 to 1992. In 1994, Mozambique held its first multiparty elections and has remained a relatively stable presidential republic since. Between the 1st and 5th centuries, Bantu-speaking peoples migrated from farther north and west. Swahili, and later also Arab, commercial ports existed along the coasts until the arrival of Europeans. The area was explored by Vasco da Gama in 1498 and colonized by Portugal from 1505. At first Portuguese colonists settled the coastal areas, but eventually pushed inland. 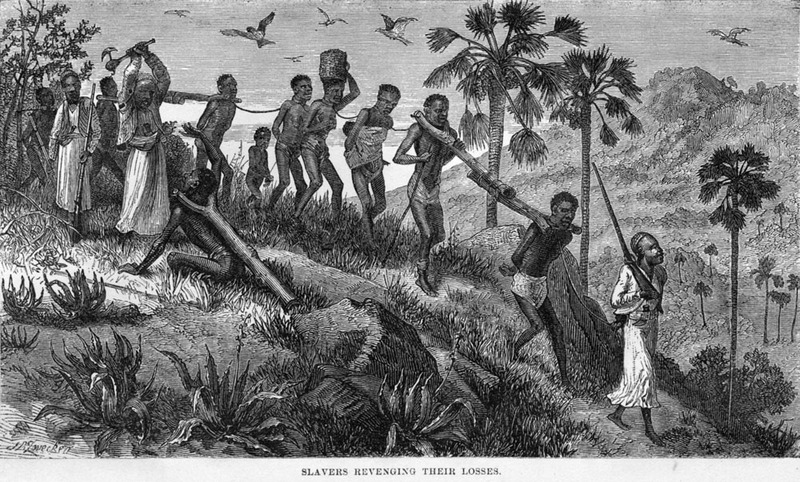 Arab traders into the 19th century used Mozambique as a source of slaves. 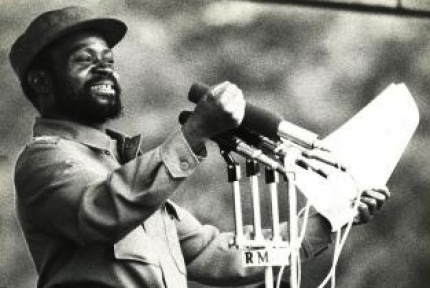 As communist and anti-colonial ideologies spread out across Africa in the 1960s, many clandestine political movements were established in support of Mozambican independence. These movements claimed that since policies and development plans were primarily designed by the ruling authorities for the benefit of Mozambique’s Portuguese population, little attention was paid to Mozambique’s tribal integration and the development of its native communities. This affected a majority of the indigenous population who suffered both state-sponsored discrimination and enormous social pressure. Many felt they had received too little opportunity or resources to upgrade their skills and improve their economic and social situation to a degree comparable to that of the Europeans. Statistically, Mozambique’s Portuguese whites were wealthier and more skilled than the black indigenous majority. As a response to the guerrilla movement, the Portuguese government from the 1960s and principally the early 1970s, initiated gradual changes with new socioeconomic developments and egalitarian policies for all. The Front for the Liberation of Mozambique (FRELIMO) initiated a guerrilla campaign against Portuguese rule in September 1964. This conflict – along with the two others already initiated in the other Portuguese colonies of Angola and Portuguese Guinea – became part of the Portuguese Colonial War (1961–1974). 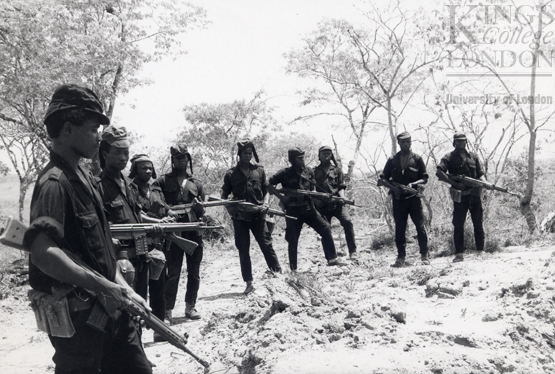 From a military standpoint, the Portuguese regular army maintained control of the population centers while the guerrilla forces sought to undermine their influence in rural and tribal areas in the north and west. As part of their response to FRELIMO, the Portuguese government began to pay more attention to creating favorable conditions for social development and economic growth. After 10 years of sporadic warfare and Portugal’s return to democracy through a leftist military coup in Lisbon, which replaced Portugal’s Estado Novo regime for a military junta (the Carnation Revolution of April 1974), FRELIMO took control of the territory. Within a year, most of the 250,000 Portuguese in Mozambique had left – some expelled by the government of the nearly independent territory, some fleeing in fear – and Mozambique became independent from Portugal. In an act of vengeance, a law had been passed by the then relatively unknown Armando Guebuza in the FRELIMO party ordering the Portuguese to leave the country in 24 hours with only 20 kilograms (44 pounds) of luggage. Unable to salvage any of their assets, most of them returned to Portugal penniless. Starting shortly after the independence, the country was plagued from 1977 to 1992 by a long and violent civil war between the opposition forces of anti-Communist Mozambican National Resistance (RENAMO) rebel militias and the FRELIMO regime. This conflict, combined with sabotage from the neighboring white-ruled state of Rhodesia and the apartheid regime of South Africa, ineffective policies, failed central planning, and the resulting economic collapse, characterised the first decades of Mozambican independence. This period was also marked by the exodus of Portuguese nationals and Mozambicans of Portuguese heritage, a collapsed infrastructure, lack of investment in productive assets, and government nationalization of privately owned industries as well as widespread famine. Mozambique held elections in 1994, which were accepted by most parties as free and fair while still contested by many nationals and observers alike. FRELIMO won, under Joaquim Chissano, while RENAMO, led by Afonso Dhlakama, ran as the official opposition. 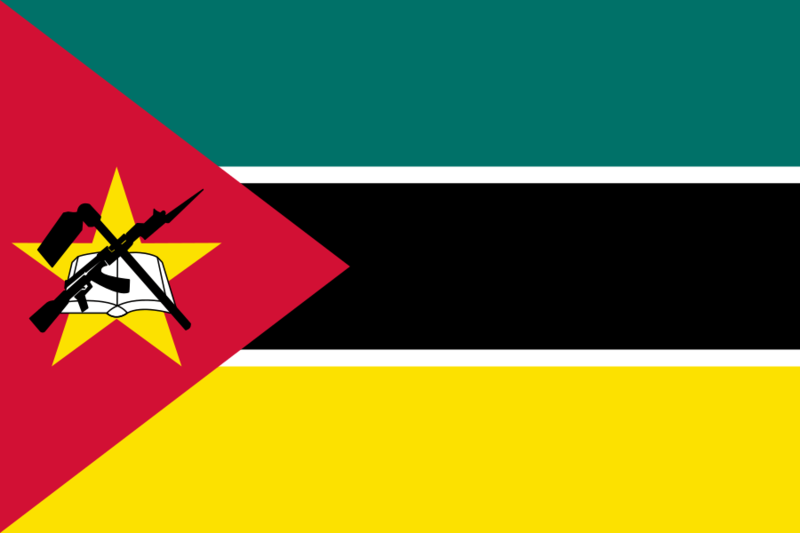 In 1995, Mozambique joined the Commonwealth of Nations, becoming, at the time, the only member nation that had never been part of the British Empire. By mid-1995, over 1.7 million refugees who had sought asylum in neighboring countries had returned to Mozambique, part of the largest repatriation witnessed in sub-Saharan Africa. An additional four million internally displaced persons had returned to their homes. In December 1999, Mozambique held elections for a second time since the civil war, which were again won by FRELIMO. RENAMO accused FRELIMO of fraud, and threatened to return to civil war, but backed down after taking the matter to the Supreme Court and losing. Since then, due largely to sweeping economic reforms Mozambique has stabilized. The resettlement of civil war refugees and successful economic reform have led to a high growth rate: the country enjoyed a remarkable recovery, achieving an average annual rate of economic growth of 8% between 1996 and 2006 and between 6%–7% from 2006 to 2011. The devastating floods of early 2000 slowed GDP growth to 2.1% but a full recovery was achieved in 2001 with growth of 14.8%. Rapid expansion hinged on several major foreign investment projects, continued economic reform, and the revival of the agriculture, transportation, and tourism sectors. In 2013 about 80% of the population was employed in agriculture, the majority of whom were engaged in small-scale subsistence farming. This still suffers from inadequate infrastructure, commercial networks, and investment, but is turning around. From a cook’s perspective one of Mozambique’s most important agricultural products is the piri-piri pepper, aka African bird’s eye chile, an essential ingredient in many African and Portuguese dishes. Piri piri is Swahili for ‘pepper pepper.’ Other English language spellings may include pili pili in the Democratic Republic of the Congo or peri peri in Malawi, deriving from the various pronunciations of the word in parts of Bantu languages-speaking Africa. Piri-piri is the spelling of the name as used in the Portuguese language, as in the Portuguese-speaking Mozambican community. Plants are usually very bushy and grow in height to 45–120 centimeters, with leaves 4–7 cm long and 1.3–1.5 cm wide. The fruits are generally tapered to a blunt point and measure up to 8 or 10 centimeters long. Immature pod color is green, mature color is bright red or purple. Some varieties measure up to 175,000 Scoville heat units, that is, fiercely hot. 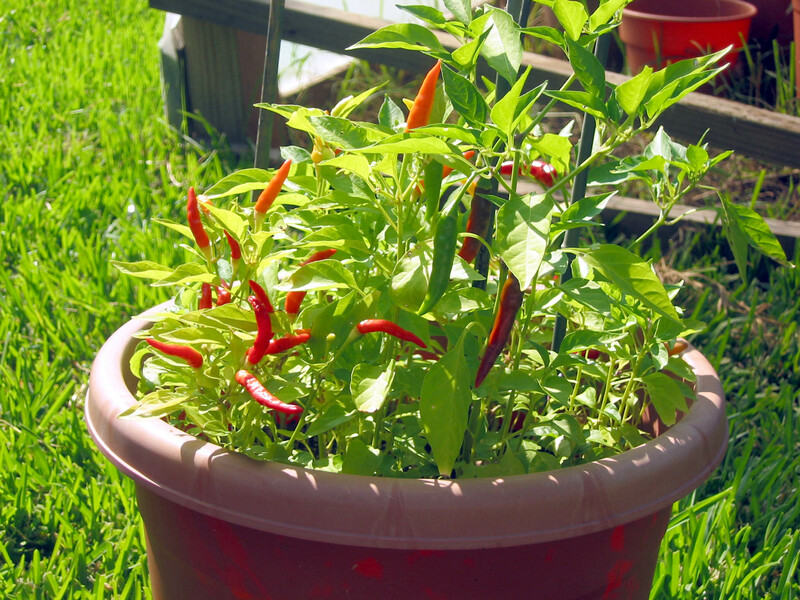 I’ve grown piri-piri in pots on the deck of my house in the New York Catskills with great success. Seeds are readily available online, and can be started indoors in temperate climates and then transplanted outdoors when frosts are over and night time temperatures do not drop too low. Commercial piri-piri sauces are also easily found. I always had a bottle on hand in Buenos Aires, although I had to mail order it because Argentinos hate even the mild heat of black pepper. I have not found it in China yet, but there is scarcely any need given the penchant for mouth-searing dishes in my current home in Yunnan province. 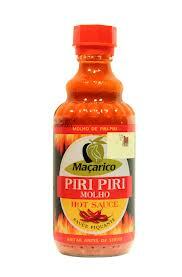 Use piri-piri, either as a plain pepper or as a bottled sauce in any dish that you want to kick up a bit. It makes an excellent marinade mixed with fresh lemon juice for barbecued chicken or shrimp. If your taste buds lean to the hot side, have at it ! !